Professor of Education and Sociology, American University. Cultural dimensions of radical and extreme right youth subcultures (especially in Germany and U.S.), with a particular focus on how clothing, symbols, style and aesthetic representation act as a gateway into extremist scenes and subcultures; youth radicalization; branding, consumption, and markets produced for and by far right groups, movements, and subcultures; nationalism and the role of national pride, identity, masculinity, and emotion in the appeal of far right groups; school-based responses to radical and extreme right youth engagement; educational interventions and counter-narratives addressing radical right and extremist youth. Rise of the far right across Europe and in the U.S.; white supremacist and radical right fashion, clothing and style; educational interventions and youth de-radicalization; live/pre-recorded media interviews in English or German; expert witness reports and testimony; opinion essays and editorials, consultation on research design and educational curricula. Cynthia Miller-Idriss is a professor of education and sociology at American University in Washington, D.C. She holds a Ph.D. in Sociology as well as masters’ degrees in Sociology and Public Policy from the University of Michigan, and a bachelor’s degree in Sociology and German Area Studies from Cornell University. Her research is on far right youth radicalization and subcultures, with a particular focus on how aesthetics and style attract and socialize youth in extremist movements. 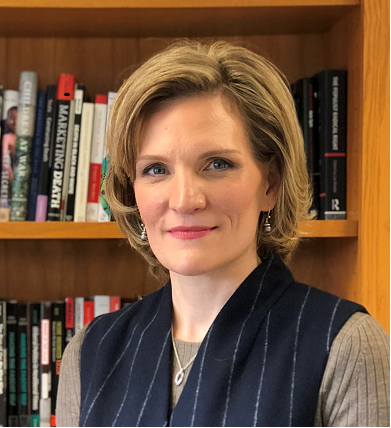 She is the author of The Extreme Gone Mainstream: Commercialization and Far Right Youth Culture in Germany (Princeton University Press, 2018) and Blood and Culture: Youth, Right-Wing Extremism, and National Belonging in Contemporary Germany (Duke University Press, 2009). Miller-Idriss also engages frequently as an expert source and op-ed author on issues of youth radicalization, nationalism and education for mainstream media outlets, most recently for The New York Times, The Washington Post, Vice Magazine, Fortune, Inside Higher Ed, and Wisconsin Public Radio and for global policymaking audiences at the U.S. State Department and the German Marshall Fund’s Brussels Forum.